Uwe Scholz was born on December 31, 1958, in Hessen Germany. He took his first ballet lesson at the age of 4 at the Theatre of Darmstadt. In 1973, one month prior to the death of John Cranko, Uwe passed the entrance examination for the Ballet School of Wurttemberg State Theatre in Stuttgart. After the untimely death of John Cranko, it was Marcia Haydee who strongly influenced and guided Uwe?s development. In 1976, while still a student, he choreographed his first ballet, «Serenade for 5 plus 1» to music from Mozart. After a short period in London and a scholarship that led him to George Balanchine?s School of American Ballet, Uwe returned in 1977 to Stuttgart and The John Cranko Academy from which he graduated in 1979. That same year Marcia Haydee engaged him as a member of the Stuttgart Ballet Company and entrusted him with greater choreographic duties. In 1982 Marcia Haydee appointed Uwe to the post of Resident Choreographer for the world famous Stuttgart Ballet. Uwe soon received invitations to do the choreography for many famous ballet companies throughout the world including La Scala, Milan, the Monte Carlo Ballet (first work with Karl Lagerfeld) and the National Opera Ballet in Vienna? 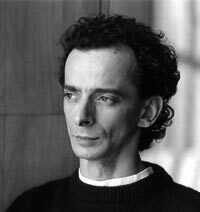 In 1985 Uwe Scholz became Director/Choreographer of the Zurich Opera Ballet Company. During this period he had the opportunity to create pieces which are now Classics in the world of dance, one of these is his adaptation of Haydn?s Die Schopfung (The Creation). In 1991, shortly after the collapse of the Berlin wall, Uwe was appointed Artistic Director/Choreographer of the Leipzig Ballet. In 20 years of choreography, Uwe has created a repertoire of over 90 ballets. The music he uses for his creations is extremely varied-ranging from the Renaissance, to Mozart and Wagner and contemporary composers. As recognition for his achievements in choreography, Uwe has received the Ommagio Alla Danza (Homage to Dance) Award from Tspressione Europa in Venice as well as the Professorship of choreography from the Hochschule fur Music and Theatre Felix Mendelssohn Bartholdy on October 1, 1993. He has also received the Medal of Merit from the Lions Club of Leipzig for remaining as Artistic Director in Leipzig and turning down an offer to become Artistic Director of the Deutsche Opera Berlin. Prof. Scholz is an Honorary member of the John Cranko Society as well as a Founding Member of the Free Academy of Arts in Leipzig. Professor Uwe Scholz has also been awarded The Verdienst Kreuz Am Bande Des Verdienstordens Der Bundesrepublik Deutschland (Cross Of The Order Of Merit Of The Federal Republic Of Germany) which is one of the highest honors in Germany and was given for his outstanding contributions to dance. On January 10, 1997, Uwe Scholz was appointed to the post of Artistic Director of the Leipzig Opera House Ballet School, which takes effect on August 1, 1997. Uwe feels that by uniting the Leipzig Ballet School and Company under a single loadership, the way is now paved for the creation of a Ballet Center of European Distinction.